Matt JOHNSON became known through the web series nirvanna the band the show (2009), which he wrote, produced and directed together with Jay McCarrol, and in which they both played main characters. In 2013 his first feature film, The Dirties, was released. The film was praised for its unorthodox and confrontational style, and earned Johnson a Golden Leopard nomination at the Locarno International Film Festival. 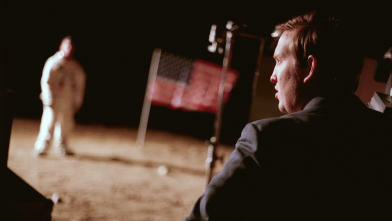 Operation Avalanche (2015) was his second feature film. In 2016 the web series nirvanna the band the show was revived and made into a TV series. Humorous mockumentary in which two dopey CIA agents in 1967 investigate a Russian mole at NASA, which at the time was heavily involved in the race to the moon. What they discover turns out to be much more shocking than Russian spying. A state secret that may never, ever be leaked.